Jaguar has released information about the new XF Sportbrake, ahead of its full premiere at the Geneva Motor Show. 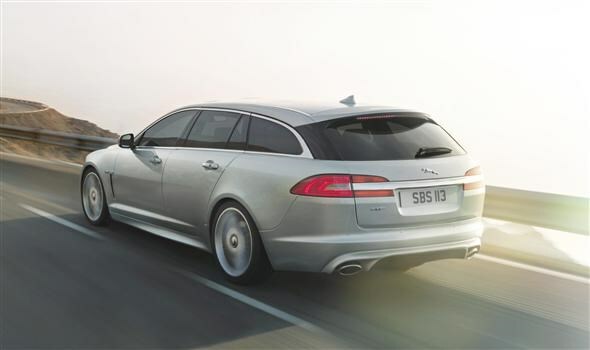 The Sportbrake - that's fancy talk for estate - is based on the current XF platform. Thanks to its estate styling it offers a load space of 550 litres, a significant increase compared to the 500 litres offered in the saloon. Drop the rear seats and this expands to 1,675 litres. That puts it in direct competition, in the practicality stakes, with the likes of BMW's 5 Series Touring. This new Jaguar model will be available with the 2.2-litre diesel engine, recently added to the saloon range, as well as the more powerful 3.0-litre diesel. Both are coupled to an eight-speed automatic gearbox, driving the rear wheels. It comes with a number of practical touches to make life with the XF load-lugger that little bit easier. There are remote fold levers, for dropping the rear seats, in the boot areas to stop you having to reach in. LED lights built in to the boot illuminate the ground when you open it, while the boot also gets an automated soft close function. The boot floor panel can be split in to three different sections so you can store smaller items and stop them moving around. There's even an under-floor tray in the boot to protect valuable items. While it may be based on the existing XF, Jaguar says that every panel from the B-pillar back is new. It also gets a gloss black C-pillar, much like the XJ saloon. Despite the added space, Jaguar claims that there is only a small increase in weight - an extra 70kg. In fact, the overall length is just 5mm more than the saloon model. The company also claims that the chassis is as rigid as the saloon, so it should deliver similar performance on the road. Prices and specifications are set to be announced nearer the on sale date of the car, which is expected to be in the autumn. 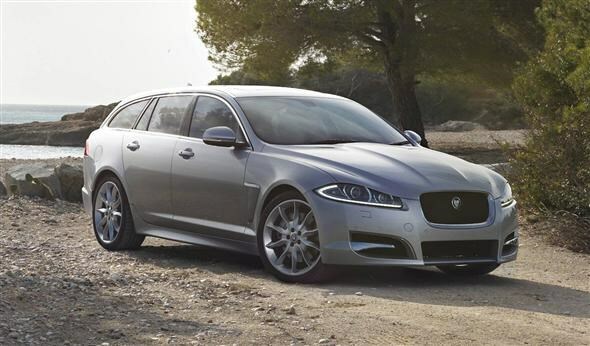 The XF saloon starts at £29,950, however, so buyers should expect to pay upwards of that figure. Further details are also likely to be released at the 2012 Geneva Motor Show, which Parkers will be covering live.